Finally! 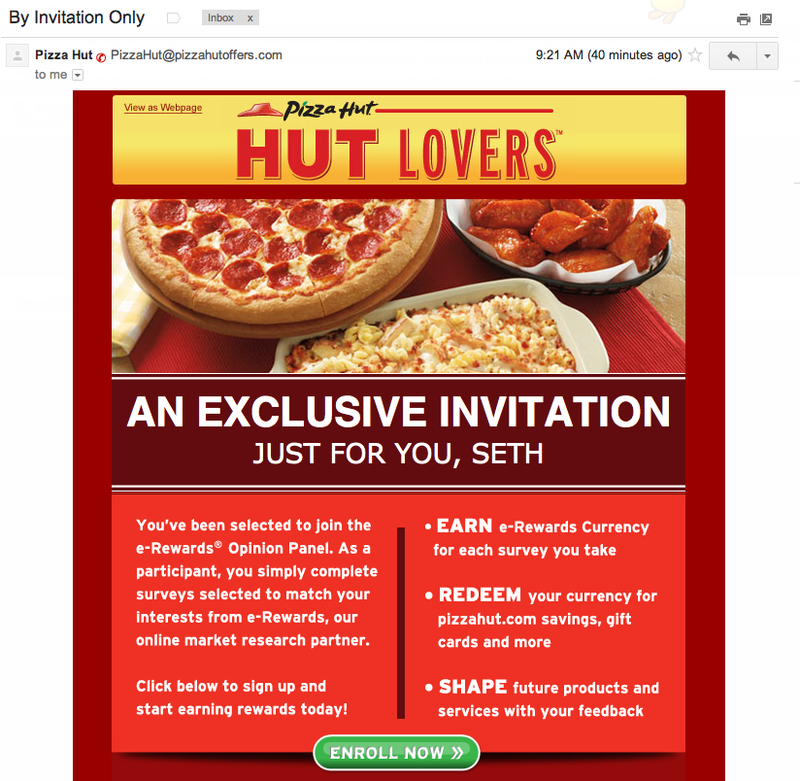 We’re invited to join the vaunted Pizza Hut e-Rewards® Opinion Panel. We started to believe this day would never come. What an honor. Unfortunately, we have to decline the offer. As humbled as we are to be considered for this tremendous opportunity, we just don’t think we can commit the level of time and energy that a responsibility like this requires and deserves. We would be doing ourselves, Pizza Hut and pizza lovers everywhere a disservice if we couldn’t offer one hundred and ten percent; it wouldn’t be fair to them and it wouldn’t be fair to you. So, Pizza Hut, thank you so much, and we hope this does not tarnish what we had and we can continue to stuff your “pizza” down our throats.